The all-new KYMCO Like 150i ABS is maximum modern yet old school cool, for a mix of cool styling and contemporary performance. It’s the smartest scooter ever made. The all-new KYMCO Like 150i ABS is a stunning, highly modern scooter with futuristic-retro styling. The Like 150i ABS sports a combination of modern features and performance value that’s unprecedented in a light-weight scooter. Capable of speeds worthy of any urban setting, the Like 150i ABS can be confidently ridden on any full-access highway, or bridge crossing, complemented by the ease of a twist-and-go automatic transmission, and stable yet super-light steering. The cutting-edge Bosh 9.1 M ABS front and rear brakes feature a class-leading miniature trigger-sensor weighting a mere 1.54 lbs., that providing the maximum braking that’s restricted only by the laws of physics. 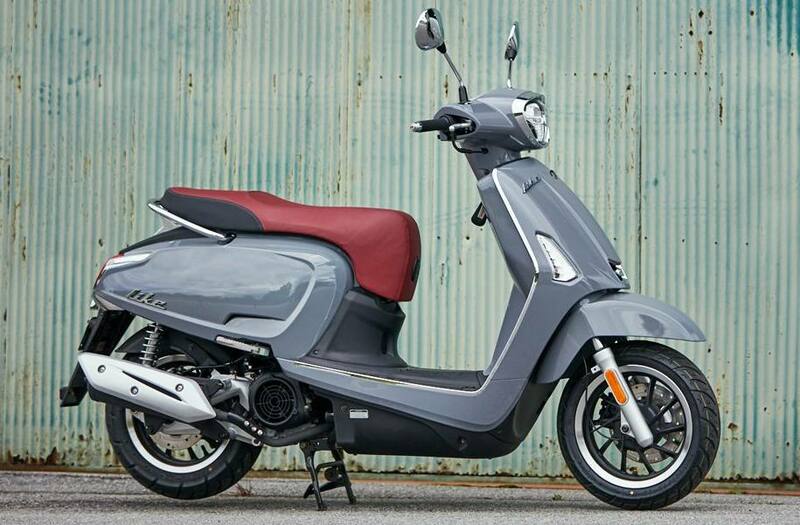 The Like 150i ABS’s modern four valve 149cc engine hands out a rating of 85 mpg. Available in Gray, Red, Pearly White, Blue Metallic. Claimed Dry Weight: 264 lb.